In this Nov. 3, 2016, file photo, HRH Princess Reema Bint Bandar Al-Saud speaks onstage during Fast Company Innovation Festival 2016 in New York City. Saudi Arabia appointed its first female ambassador early Sunday to serve as its top diplomat in the United States, pulling a son of King Salman back to the kingdom to serve as deputy defense minister amid deteriorating ties with America after the killing of Jamal Khashoggi. 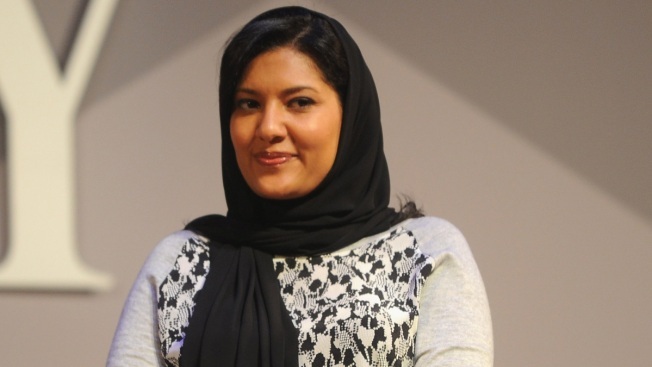 Princess Reema bint Bandar Al Saud, a daughter of the kingdom's longtime ambassador to Washington Bandar bin Sultan Al Saud, faces a stark challenge in improving ties between the U.S. and Saudi Arabia. She replaces Prince Khalid bin Salman Al Saud, a son of King Salman and a former fighter pilot who insisted after Khashoggi's disappearance Oct. 2 that the Washington Post columnist simply left the kingdom's consulate in Istanbul. Instead, members of the entourage of his brother, Saudi Arabia's Crown Prince Mohammed bin Salman, allegedly assassinated and dismembered Khashoggi inside the diplomatic post. 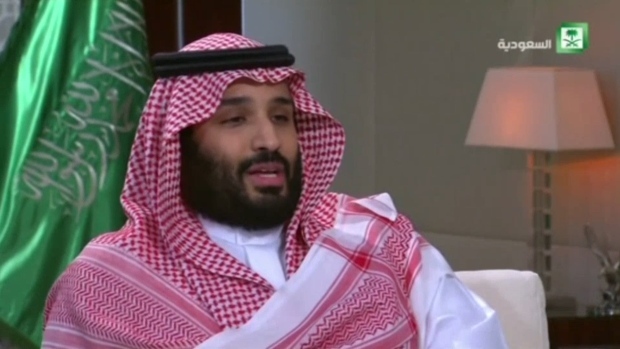 Calling Saudi Arabia a "great ally," President Donald Trump declined to stand behind the CIA's claim that Saudi Arabia's Crown Prince, Mohammed bin Salman, was responsible for the murder of journalist Jamal Khashoggi. The Post, citing unnamed sources in November, also reported that U.S. intelligence agencies reviewed a phone call that Prince Khalid had with Khashoggi, in which he allegedly told the writer he'd be safe going to the consulate to retrieve the documents he needed to get married. The newspaper said it was not known whether the ambassador knew Khashoggi would be killed, though he made the call at the direction of the crown prince. The Saudi Embassy in Washington has denied the call took place. Princess Reema, who studied in America and is known in the kingdom for her philanthropic work, lived in the U.S. during her father's over 20 years as the Saudi ambassador there. Her father also served as the head of the country's intelligence service. "I will work with God's permission to serve my country, its leaders and all its children and I will spare no effort to that end," Princess Reema wrote on Twitter after her appointment. Her posting comes as Saudi Arabia under King Salman and Prince Mohammed allowed women to drive last year. However, the kingdom meanwhile has arrested women's rights activists as part of a wider crackdown on any perceived dissent in the OPEC-member nation. Prince Khalid returns to Riyadh as a deputy defense minister. Prince Mohammed has held the position of defense minister even after becoming the next in line to the throne of the oil-rich kingdom. In a tweet, Prince Khalid said his posting would allow him to again "be the sword" of the defense minister. "I ask God to help me achieve the vision of our leadership and serve the men I know who are faithful to their religion and homeland," he wrote. Prince Khalid's naming as deputy defense minister comes as Saudi Arabia remains mired in its yearslong war in Yemen, which also have strained American relations to the kingdom. Saudi Arabia has faced growing Western criticism over its airstrikes hitting markets and clinics, killing civilians. U.S. lawmakers increasingly are pushing to withdraw American support for the conflict, which pits the kingdom and its allies against the Houthi rebels that hold the capital of the Arab world's poorest nation. Another royal decree from King Salman overnight granted a month's salary as a bonus to Saudi soldiers defending the kingdom's southern border with Yemen, where the Houthis have launched a series of bloody attacks.